Posted 3rd April 2019 by James Hanson & filed under Blog, Industry News, Opinion. Equality is something that every person on the planet should be striving for. In some areas of life and particularly employment, huge leaps and bounds have already been made in order for women to be seen as equals to their male counterparts. However, there are still some areas where so much more work needs to be done. This is true for construction. The construction industry has always been a predominantly male world, mainly because many of the roles require intense physical labour and of course strength. So, does this mean that construction will always be limited in welcoming women? We don’t think so, in fact, we think that the construction industry could actually benefit from having a female’s touch. So, how does the current climate look for the construction industry? Well, across the industry as a whole, taking the roles that are more admin and design based into account, women make up around 11% of the entire workforce. When you actually look at the building sites themselves, it drops to just 1%. Compared to the rest of Europe, the UK has the lowest proportion of female engineers, with only 14% of students entering engineering and technology first degree courses being women. Of course, the perception is that it is “men’s work” and its mainly manual and requires strength. However, who is to say that women are not able to handle these roles, and of course, the administration, technical, design, engineering and project led vacancies can be just as suitable for women as they are men. Many women who are currently working in the industry, or have in the past, state that sexism is a real problem. Women, when they do decide to enter the industry are treated worse than their male counterparts and often face comments and low level, seen as playful abuse from their fellow workers. We know that something needs to happen when it comes to women working in construction, and it seems that it is not just down to leading women to change it. The main thing that needs to be looked at is the perception of the construction industry and women’s place in it. This is particularly true in the new generation of workers, who will be making their decision on where they want to work in the future. So, this is down to the government, schools/colleges, leading employers and industry bodies and recruitment firms to accelerate the pace of change. Construction should be portrayed as an industry for all, where women and men are treated equally, where there is a range of jobs and skills required, this will encourage more women to enter it as a career. The current working generation need to become positive role models for women looking to enter construction. Having these role models will show other girls and women that it is possible to enter what is perceived as “a man’s world” and start to put construction on the radar as a job of choice. There is still work to be done to ensure that men and women are equal. However, we are hopeful that the future of construction looks like it might be a touch more feminine than it is at the moment! If you are a student interested in working in construction, or you are an employer looking to create a more diverse and inclusive environment, please get in touch with me for a chat! The Property Market has changed – so should you? Posted 28th June 2018 by April McDowell & filed under Blog, Industry News, Opinion. A reoccurring conversation I have had over the past 12 to 18 months is the candidate shortage within the Property market – especially in Sales. Why is it harder to find good people I am asked? What factors are affecting this? Firstly, unemployment is at an all-time low of 4.4% (REC) – this indicates that there are therefore fewer people to fill roles. As permanent placements remain stagnant – temporary and contract recruitment is increasing from 33% in March 2015 to 57% in March 2018 (REC). Is it the uncertainty of Brexit? Inflation to live in London? Wages catching up with cost? Or are people’s ideologies changing? I have worked within Property since 2012 working my way up to Head of Department in the Sales, Lettings & New Homes Division – during my time within the Sector – now is the time I have seen most unease. Several factors are blamed for poor Property Sales growth including “subdued economic activity” (the Mortgage Lender) – also household outgoings are higher which is affecting the demand. According to Cost of Living Survey (which ranks 209 cities globally for costliness) London has leapt from 29th to 19th in 2018. Demand has dropped off, Jeremy Leaf states the number of £1m houses on Sales throughout London are at a record high – buyers are just walking away from the “ridiculous” prices. Rightmove shows in June 2018 there were nearly 20,000 houses and flats on for Sale – a record. Rightmove also disclosed there were 16.4% more London homes on the market compared with June 2017 with the number of Property Sales in the Capital are down by 5% in the past 12 months (The Independent). The average house price in the Capital has increased by 500% in the past 20 years from £98,000 to £485,000 in January 2018 – compared to the £277,000 UK average (Property Week). 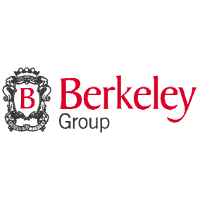 The Berkeley Group which builds luxury homes in London and the South East warned in a report that profits were likely to fall in 2018 by a third due the constant weight of Brexit uncertainty on the London housing market (The Berkeley Group). On a positive note, Homes & Property state with the significant increases of the number of houses and flats on Sale in the Capital it gives buyers A LOT more options in comparison to previous years and if prices remain steady and wages increase this will see properties become more affordable. When I first started at Cherry Pick People Recruitment in 2012 – candidates did not question the low basics and high commission however as the years have gone by and the Property and Property Recruitment Markets have changed rapidly – so has people’s ideologies. The emphasis of the “work hard, play hard” mentality and working 70 hours a week have decreased in our candidates’ desires. Perhaps the factors I discussed above have influenced – the current rate of unemployment at all time low in the UK, the inflation of household costs, mortgages and house prices add to the stresses of the 2018 worker – has the uncertainty of the Property market made the Property employee uncertain? So, with this change, people seem to be far more focused on well-being, health, social time and less stress. We have seen that candidates our asking most about free weekends, benefits, less hours and higher basics. I’m sure many of you who have been in the industry will feel you don’t want people with these types of drivers – “as they don’t make good sales people” but perhaps as society, how we buy, the markets change we need to change with then??? Is there a skills shortage or are we creators of our own demise? Posted 29th September 2017 by Cherry Pick People & filed under Industry News, Opinion. “Skills shortage” is something that I have become accustomed to hearing all too often over the past few years and even more so since the Brexit decision. This opinion is voiced either in the newspapers, at networking events and while engaging with clients. So what is really going on and are we doing enough about resolving the issue? Construction Skills Shortage and what is causing it? The construction industry is one of the big players within the UK Economy, generating around £90bn year on year. It has around 2.9 million people working within it, which accounts for circa 11% of employment within the UK. There is no doubt that since the crash of 2008 there have been fewer people joining the Property and Construction industry, as they are securing employment in more “stable” industries. In addition to the potential loss of migrant workers post Brexit and economic instability in the UK impacting recruitment within construction. We also find ourselves with 27% of construction workers over the age of 50 and approaching the retirement age. With a lacking pipeline of people joining the industry and an ageing workforce, we will find that the skills gained by the older workers will retire with them reinforcing the shortage. 8% (175,000) of workers in the industry are EU nationals, with Brexit slowly creeping up on us, we need to look at how this is going to affect the industry. What are senior figures within the industry doing to ensure that migrant workers are protected? Will we be looking at the potential of an Australian based points system to ensure that we have skilled migrants within the UK? Getting the right deal to protect the industry is paramount, otherwise we could see the UK’s £500bn infrastructure project slowly coming to a standstill. The issue is not just with the blue collar labour roles, but also the professional white collar side of the business. From speaking to our clients we find that the need to actively headhunt and keep in touch with our network is more important than ever. The majority of vacancies our clients are looking to fill have become harder to satisfy, due to the candidates lacking in the correct skills, qualifications or experience. With the demand for commercial space and housing across the country increasing, the requirement for staffing, skills and experience within the industry has never been greater. Are we doing enough about this? Irrespective of a poor pipeline of workers into the industry, are employers doing enough to help the situation? On average a larger proportion of construction companies do not provide training compared to other industries, relying on apprenticeship providers to carry out the training, only to put apprentices back with other job seekers once trained. Apprentices are therefore facing a problem of not having the experience to match the training. The construction industry needs to make a commitment to apprentices making the construction industry more desirable to younger people over other options. Highlighting a clear line of opportunity and earning potential once training has been completed is paramount. Companies such as Berkeley Homes, Redrow and Kier having specific departments set up for apprentices and training. On the Thames Gateway Project, construction firms have been asked to commit to 1 in 50 places to be given to apprentices. CrossRail and other major organisations have set out plans alike. A clear commitment from both the public and private sector on projects can help them identify skills gaps early enough to ensure suitable people are trained and are available, ready for when they are needed. Rather than just employing ‘value for money’ skilled workers when recruiting simply adding fuel to the fire. Closer alliances between businesses and colleges can ensure that students are being educated on the career options available in construction and taught the correct skills to ensure up-coming shortages alleviated. In addition, other options at grass roots level could be, taking candidates from across the property sector working in different functions such as Customer Services, Administration and Sales etc. We regularly meet exceptional candidates who are motivated to working in construction that could bridge this gap in the short to medium term, with a bit of development and training from the construction industry. As an industry, we need to work together to make an effort to appeal to both ends of the spectrum. On one side, guiding people to choose an apprenticeship/training in construction with a clear pathway for personal and professional development in the industry. The other side, conveying to the construction industry the long term value in employing and training apprentices and other experienced professionals to assist with the skills shortage. Posted 29th August 2017 by Cherry Pick People & filed under Industry News, Opinion. I think it is clear to see that we are in a tougher market than we have seen for many years, with the effects of the Brexit vote and also the General election it has made the role of an estate agent much harder than it has been for many years and in terms of the calibre of agents, the bar has been raised substantially. The days of “All you had to do is answer a phone first and you would have a deal” are long gone, it is now a case of educating your buyers, sellers, landlords and tenants on the market, advising them on the current market conditions, the processes and what the likely outcome is for them. I am seeing a lot of very experienced agents leaving the industry that they love, due to work life balance and in some cases their concerns about earning potential in this tougher market. It is a shame to see so many of my peers leaving, another thing I have noticed is the shift from experienced professionals moving to online agencies. As a recruiter on a daily basis I, just like many property professionals, see the constant battles on Linkedin between online agents and the more traditional agencies. I have noticed that now many of the smaller independents and the larger corporate agencies who previously used to Linkedin to battle with each other now reserve their usage of Linkedin to join forces and battle with the online agencies. Is traditional estate agency is becoming a thing of the past? Is the new flashy hybrid online agency going to become our future? Which model will come out on top? Is there a place in the market for both traditional estate agency and also online agency? Is the model so different? Surely it is just paying the fees upfront yet still working with estate agents who were trained in the traditional way? In terms of revolutionising estate agency, the objective is still the same, a property is listed by a professional and then sold or let, the majority of online agents seem to be agents who cut their teeth so to speak in traditional agency but then moved over to online, taking years of experience with them. Many business analysts from outside of the industry have likened the evolution of estate agency to; Blockbuster and Netflix or the black cab to Uber, 10 years ago who would have thought that in 2017 the world’s largest taxi firm would own no taxis and the world’s largest accommodation providers Airbnb would own no property. The online agents that I have spoken to, all seem very happy with their choices and put this down to having flexibility in their work life balance and not being constricted to a structured diary, in their words they are able to make more money, working better hours and providing a greater level of service to each client. Many of the traditional agents question the service that is provided by online agents and the processes that make them different, so paying fees upfront, whether the property is sold or not, which they say questions the motivations of the agent, they are also questioning the way that the fees are presented and also the service that customers receive. However, looking at reviews for both online and traditional agency, I see common themes in customer complaints, it seems to be clarity, service and the age old, over promising and under delivering, could this be the answer? Surely both models can exist harmoniously if they operate with integrity, clarity, provide outstanding service and do not under deliver, look at First Direct they are an online bank, who operate perfectly well within a market full of physical branches. Posted 20th March 2017 by Alex Wiffen & filed under Advice, Industry News. Write it in the comments below and see if you’re close! So, I’ve been doing some workings on the cost per hire for Sales people within the Property sector. Assuming that the position will remain open for 2 months and it will take this person 2 weeks to be fully integrated into the company – (based on a conservative £10k / month target) lost revenue – £25,000. Typical review time is 3 minutes per resume – 30 hours of time. 25 phone screens will take place (15mins / screening) – 6 hours, 15 minutes of time. 8 face to face initial interviews will occur – 8 hours of time. 3 face to face, 2nd, more detailed interviews will occur – 3 hours of time. Background checks and reference checks will take – 2 hours total of time. Hiring Manager earns £100k per year or £48.08 per hour (assuming only one person is involved in the hiring decision). Time invested of 49.25 hours = £2367.94. 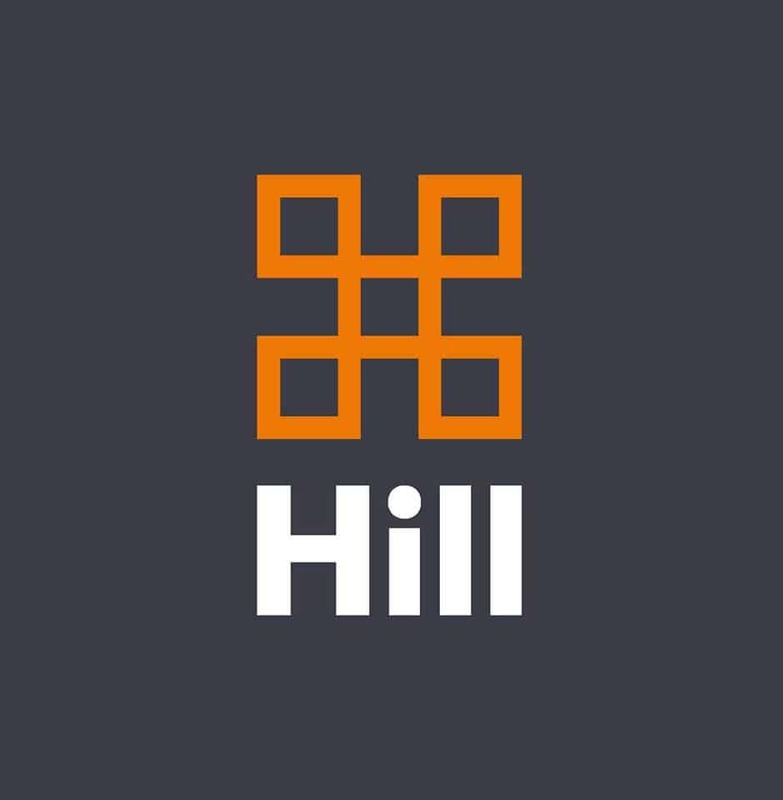 Training and two-week ramp up of new employee – £1,500. I haven’t included the time lost from the core responsibilities of the hiring manager; they could be devoting a whole extra week per hire to generating revenue for the business. Or they could be spending more time with the existing team to develop them and increase productivity and retention. This, in turn, would reduce the need to recruit. Then, of course, you must also take into account the bad hires, people who aren’t right. These are the people who also take a wage out of the business and don’t generate revenue! If you lose 1 out of 4 people hired at the end of their 3-month probation that would be £30k in lost revenue PLUS their wage cost of £4500 (3 months at £18,000pa) = £34,500 in total. Spread that over the 4 placements = £8,625 / placement extra for each hire. If that turnover is higher, I know many property companies and estate agencies where the turnover rate is as high as 1 in 2, that’s £17,250 extra/placement! Of course, the biggest cost here is the loss of revenue – £33,625 / placement and the cost of bad hires. Really interested to hear if your guess on the cost per hire was close! And if you have anything to add or feel I’ve missed anything in my calculation please comment! Sales Market Update – is Prime Central London just not affordable anymore? Posted 9th March 2017 by April McDowell & filed under Industry News. The past year of the London Property Sales Market has been very interesting, something I have constantly kept track of. I have worked within the Property Recruitment industry for almost 5 years and this past year has been particularly different to previous years! In my last blog, So Happy My Offer Has Been Accepted! But Oh Wait, The Dreaded Stamp Duty… I discussed the effect the increased Stamp Duty was having on first-time buyers and the London property market and whether it was even an issue for the most affluent? Is everyone moving from Zone 1? Is it a boycott of Prime Central London!? 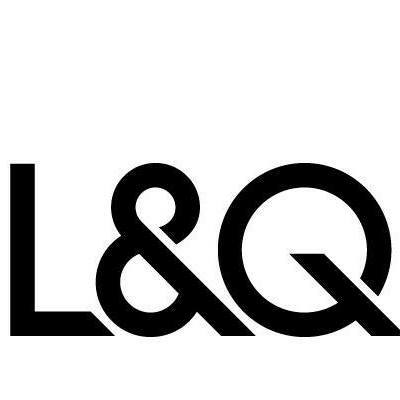 PCL has been a location desired by many, I personally have always aspired to live in areas such as Kensington, Notting Hill, and Chelsea – if I could afford to move to the beautiful South Kensington or calm Little Venice I definitely would. But has that Hot Spot changed for potential buyers? Is it now the purchasers that are filtering from the Centre to what was known before as the ‘dreaded’ Zones 3-6. The Evening Standard has stated the largest drop in property prices has been in the Central Boroughs such as Camden (down 16.4%) and Hammersmith & Fulham (down 11.6%). The borough with the most increased growth has been Hackney with an increase of 15.6% and Bromley (even further out I know) has had a rise of 11.6%. Data firm LonRes have also stated the number of houses over £1m sold in 2016 were down 21% year on year. City A.M reported London’s house growth is level with Portsmouth… Hometrack has stated prices in PCL are just becoming unaffordable, in Chelsea house prices have fallen by 10%. 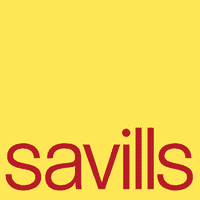 Savills concurred that the prices of PCL have fallen by 6.9% compared with last year (which was 4.9%). However, the real estate firm has said within the collapse of Sales (Brexit and increased Stamp Duty) the asking prices of properties have had to reflect this. Is this all doom and gloom? It was predicted that the fall in PCL would be 9% – so it is actually less than anticipated. Even though Savills have reported lower prices, Persimmon has stated a rise in revenue (their average selling price was up by 4%) as the availability of mortgages have helped to boost prices! More and more buyers are now buying New Homes which seems to be a strong choice for buyers. New Homes are competitive with mortgage offers and therefore makes the purchase very affordable (I recently bought a new home myself!). The FTSE 100 in January showed the builder was the best performer with share up by 5%. Richard Donnell of LonRes has shared that house prices in London are 85% higher than they were in 2009!!! – so it is not surprising the pace has decreased. Helen Cahill of City A.M has said the slump in the prices are at the top end due to Stamp Duty on homes worth more than £1m and has meant that some homes have slashed their prices by 30% – it is all to do with affordability. Are buyers simply not able to physically pay the price for PCL? But will it all be over soon? Or will it be a case of Zone 1 buyers fleeing to the likes of Bromley? Or the up and coming Hackney? As the Sales Market changes so do consumers.